Grew Up… in Boston with her parents and four brothers and a lot of very heavy accents. Living… in a disgusting apartment with a lot of guns in her fridge. That’s not her home; it’s for an assignment. She’s on a stakeout, and the suspects live in the same apartment building. Profession… police officer. Driving a beat up sedan and wearing the same t-shirt for a week straight, Mullins is the most undercover of undercover cops, and she doesn’t even have to try. She’s unquestionably competent at her job, though. The only problem is that her coworkers resent her – her boss told her that she needs to become a team player to get the promotion she badly wants. Interests… ordering WWII era weaponry off the Internet from questionable sources. Relationship Status… single, but only because she wants to be. She might be overweight, have questionable hygiene, and dress like a school bus driver. But Mullins has to drive men away with a stick. Something about her is just magnetizing. Challenge… taking down Larkin, the biggest drug runner in Boston. 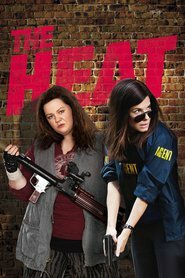 This is complicated when she realizes she has to work with Sarah Ashburn, an FBI special agent sent down from New York. Ashburn is uptight and a neat freak – the opposite of Mullins in every possible way. But they’ll have to collaborate to catch this guy. With the amount of time they spend snapping at each other over interrogation technique, it’s surprising they find any time to actually investigate. Personality… rebellious, profane, and highly effective. Since her male colleagues have not made it easy for her, Mullins has learned to rely on herself to get things done. She’s proud of her accomplishments, but others think she is arrogant. She is one of the rudest and crudest people you will ever meet – she liberally punctuates her speech with creative profanity. Shannon Mullins's popularity ranking on CharacTour is #2896 out of 5,000+ characters. See our top-ranked characters and read their profiles.